Ok this is the overview of the plenum area on my 24V (note some of these hoses were replaced today as the rubber had gone brittle and was possibly leaking air). You will find on the upper driver side inlet 2 vacuum stubs (connectors) (1) (2) which provide vacuum to the EGR, VIS and CANP solenoids. The VIS and EGR run off one pipe which branches near the inner wing. CANP runs off the other. It does not matter which pipe is connected to which stub. 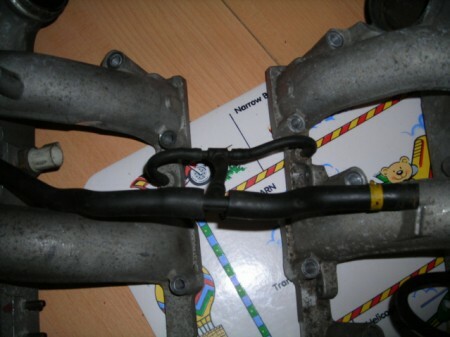 These pipes run out around the front of the plenum (8) and you can also see the return from the VIS solenoid here (8). This VIS pipe continues up to the VIS control valve on the front of the plenum (9) (11). (3) is the feed to the fuel pressure regulator. This goes down to the regulator via (12) (10). 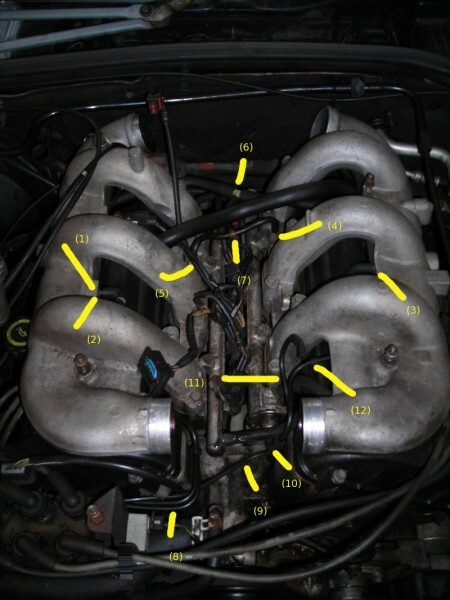 The fuel pressure regulator is the cylindrical silver object near (10). (4) & (5) join the two plenums via a T-piece (7). This T-piece leads up to (6) which is another, larger T-piece with one branch going to the passenger cam cover and the other to????? (to be confirmed). 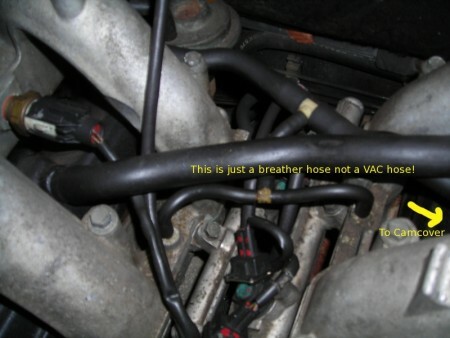 These rear vacuum lines can be seen better in the photo below, it also shows the breather hose, which is not connected to the vacuum system..
Hope that's cleared things up a bit. Instructions on how to check/replace pipes. Easy job; No need to remove the plenum spiders at all. 1. 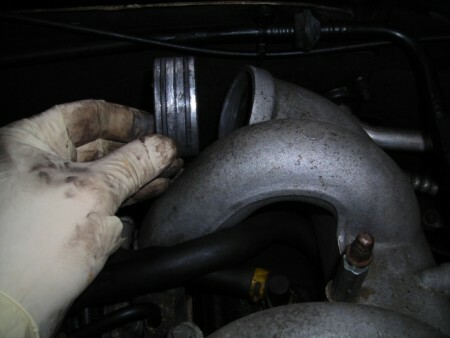 Remove the resonator box on the inlet pipe. 2. Unbolt the EGR at the back drivers side, (2 bolts accessible from around the gearbox dipstick area. 3. Undo the 6 hose clips’ securing the 3 plenum joints. 4. Unbolt the throttle cable mount from the passenger plenum. 5. Wriggle out the VIS unit between the front of the two plenums. 6. Disconnect wiring from TPS & ISCV. Then it's all laid bear... Pair of new o-rings. Check all the hoses, and then all back together... Bit of instant Gasket on the EGR pipe flange faces and you’re sorted.